$204.878 thousand on 4 screens. In the 80-plus-year history of the Oscars, only two ceremonies delivered silent Best Picture winners. Because the big prize was initially split into “Best Picture, Production” and “Best Picture, Unique and Artistic Production”, two movies can lay claim to the award from 1929. Though most regard Wings as the first Best Picture winner, Sunrise deserves attention as well. And that seemed to be that. “Talkies” quickly dominated the cinematic landscape, and even notable silent films like Charles Chaplin’s City Lights and Modern Times failed to earn Oscar attention. So who would’ve guessed the Academy would offer its top prize for 2011 to a silent movie? As crazy as that sounded, it happened when The Artist took home the Best Picture trophy. The film opens in 1927 and introduces us to George Valentin (Jean Dujardin), a major movie star. While he enjoys a great career, he suffers through a strained relationship with wife Doris (Penelope Ann Miller); he’s distant toward her, and she clearly loathes her husband. At the premiere of a new movie, Valentin literally bumps into Peppy Miller (Bérénice Bejo), a young woman with her own theatrical aspirations. Her “meet cute” with Valentin places her on the cover of Variety and helps her move ahead with her career, as her newfound notoriety allows her to get a movie gig – just as an extra, but it’s a start. From there we follow the dual careers of George and Peppy. Though we find him on top of the world in 1927, the introduction of “talkies” sends his star into severe decline. George dismisses sound films as a gimmick and refuses to make any. Unfortunately, his silent flicks bomb and his career hits the skids. In the meantime, Peppy quickly rises through the cinematic ranks, and she does quite well in the brave new world of sound. Peppy becomes a major star while George loses almost everything he has. We examine the ways their lives intertwine over the span of a few years. I admit that I went into The Artist with skepticism. I didn’t think it was possible that a silent movie shot in 2011 could be anything other than a gimmick. When Mel Brooks did it 35 years earlier, he firmly acknowledged the novelty, as he made a combination homage/parody that satisfied despite its obvious anachronistic tendencies. On the other hand, Artist takes the Good German path, as it essentially shoots a film ala the styles of the era it depicts. This isn’t a perfect rule, as Artist uses some liberties; for instance, the acting tends to be much more naturalistic than we’d have gotten 85 years ago. Nonetheless, it attempts to replicate the methods and styles of the day. As I mentioned, when I first entered Artist, I felt these choices existed as nothing more than a gimmick. Now that I’ve seen the film, I can say this: I was right. The decision to make Artist a silent film really is nothing more than a contrivance, and not one that the movie needs in any way. I must admit it worked – at least in terms of general public consumption. The flick earned an awful lot of praise/awards, and I strongly suspect that wouldn’t have occurred if it’d opted for more standard modern filmmaking methods. Artist let everyone pat themselves on the back about how much they like old-timey movies and how awesome and daring this one is. I’ll say this: Artist is an okay film, and it’s better than it could’ve been. I also do acknowledge that it takes chances and could’ve utterly flopped. Even with a big-name director like Steven Soderbergh behind The Good German, it bombed, so I respect the fact that Artist did something daring. But that doesn’t change my belief that it remains a gimmick film – and not a particularly good one at that. As I said, it’s not bad, and it sure could’ve been worse, but without the contrivance at its core, I strongly doubt The Artist would’ve gotten one-tenth of the attention or praise that it received. That’s because once you get past the film’s unusual nature, there’s just not much to it. The story does little more than mix elements from Singin’ in the Rain, A Star Is Born and Citizen Kane, and it fails to develop much real personality of its own. Except for its lack of traditional modern audio, we get a serious “been there, done that” sense about everything. In terms of narrative, Artist remains derivative, and the characters don’t ever become especially interesting. It doesn’t help that Valentin’s choices make little sense. His career goes downhill because he refuses to make talkies, but we don’t learn why. Sure, we get the sense his pride stands in the way, but he also seems to believe he couldn’t be a success in the sound era. We don’t get the sense he’s a Chaplin-esque sort who works best sans dialogue – Valentin is more of a Douglas Fairbanks action hero – and we don’t learn that his voice would be off-putting to audiences. Or do we? At the film’s end, we discover that George has a strong French accent, so perhaps that’s the reason we’re supposed to believe George would’ve flopped in talkies. Some actors couldn’t make the shift from silent to sound because of bad speaking voices – a subject gleefully mocked via the shrill Lina Lamont character from Singin’ in the Rain - but I don’t know if any went kerplunk due to foreign accents. Perhaps that’s the reason we’re supposed to accept George’s inability to “go sound”, but I don’t buy it. With decent vocal training, it’s not hard to lose an accent; while George might never sound 100 percent American, he could certainly drop the Frenchness enough to make a go of it. Of course, the notion that George’s accent would prevent him from success as a talking actor makes no sense since we see him speak to the press and radio audiences, so they’d already be well aware of his accent. At least in Singin’ in the Rain, we see Don’s constant attempts to prevent anyone from hearing Lina’s voice; Artist covers no similar bases. Whatever the movie’s answer might be, it should’ve better informed the audience. Instead, we sit through the story and feel annoyed by George’s refusal to help himself. We sense there’s a block to his continued success but don’t find out what it is, and it’s clear that the filmmakers save his only spoken words until the end because darn it, they love gimmicks – if we hear George speak earlier, it’ll blow the surprise that he’s French! Another issue comes from the basic narrative itself. Put bluntly, there’s not enough story here to carry 100 minutes. This leads to a slow pace and a lack of much real progress a lot of the time. Sometimes I go to movies that leave no obvious breaks; woe be unto me if I drink a ginormous Coke during one of those, because I’ll find it tough to locate a good spot to run to the bathroom. That wasn’t an issue during The Artist. The story moved at such a plodding rate that I could’ve gone for a four-course meal and still not missed much. Sure, the tale does develop, but it dallies too long for no apparent reason. Take the opening, for instance. When we see George at a movie premiere, we’re there forever, especially during the sequence where he basks in the audience’s adulation. Why does this scene last so long? I have no idea. It shows that George is full of himself, but a tighter movie could’ve done that in less time – and been less tedious about it. We don’t need an endless sequence in which George mugs for the crowd to get that he’s an egotist. There’s simply not a lot of meat to be found here, so we’re left with a thin, derivative story and thin, derivative characters. I do think the movie looks great, as the cinematography delivers a lovely tribute to the styles of the era. There’s a nice glow about the proceedings that gives the film an appealing sheen. I also think the actors do quite well in their underwritten roles. Even with so little to work with, they bring heart and charm to the parts. I think the various performers manage to elevate the film to a large degree and make it more enjoyable than it could’ve been. But you know what? I still can’t escape my belief that The Artist is a gimmick movie that doesn’t have a whole lot else to offer. It’s a lovely project that boasts good acting, but it lacks the depth and originality to make it special. Without its “high concept” notion – “it’s a silent movie about silent movies!” – I wouldn’t be writing this review right now; a sound version of this tale wouldn’t have gotten much attention. The Artist appears in an aspect ratio of approximately 1.33:1 on this Blu-Ray Disc. While not stellar, the image was satisfying. My main complaints regarded sharpness, as the movie occasionally looked a bit soft. I wondered if this was an intentional way to give the flick more of an “old-time” feel, but I didn’t think that made sense given the picture’s inconsistency; while some shots looked quite tight, others were a little tentative. Still, overall definition remained fine, and I witnessed no issues with jaggies, shimmering or edge haloes. The movie lacked any source flaws and always remained clean. Blacks were reasonably deep and dense, while contrast seemed pretty good. A few low-light shots showed a bit of opacity, but most demonstrated nice smoothness and clarity. I found enough positives to make this a “B” image. 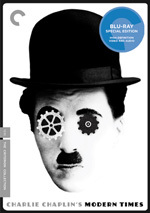 Doesn’t it seem excessive to give a silent film a DTS-HD MA 5.1 soundtrack? Probably, as I suspect simple stereo would’ve been sufficient. Music heavily dominated the mix, as the score popped up nearly constantly throughout the film. This offered nice stereo presence and spread to the surrounds in a minor way. And that was basically it. The movie did offer one spoken line, and another short sequence threw in various effects; those used the various channels effectively, and the scene’s unusual nature made it really stand out here. 99 percent of the flick lacked speech or effects, though, so don’t expect much from the soundscape. Audio quality was good. As already mentioned, effects and speech were incredibly minor factors; during their brief appearances, they sounded fine. Music was the main factor and the score showed nice reproduction. It came across as warm and full throughout the movie. This was a positive reproduction of a one-dimensional soundtrack. Despite the film’s high profile as a Best Picture winner, we don’t get a ton of extras here. We find featurettes, and these launch with The Artist: The Making of an American Romance. It runs 21 minutes, 56 seconds and provides comments from writer/director Michel Hazanavicius, film critic/historian Wade Major, and actors Missi Pyle, John Goodman, James Cromwell, Bérénice Bejo, Penelope Ann Miller, Jean Dujardin, and Malcolm McDowell. 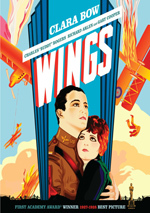 The show covers the movie’s story and characters, cast and performances, aspects of the period of Hollywood depicted and silent films, this flick’s emulation of those 1920s works, sets and locations, and general thoughts about Artist. Despite its longer than usual running time, this is little more than a basic promotional show. We do learn a bit about the film’s creation, but mostly we’re just told how wonderful it is. Next comes the Q&A with the Filmmakers and the Cast. It goes for 44 minutes, 57 seconds and includes a panel with Hazanavicius, Pyle, Cromwell, Bejo, Dujardin and producer Thomas Langmann. The “Q&A” examines shooting a silent movie and aspects of the dance scenes, working with Uggie the dog, cast and performances, inspirations/influences, photography, themes, and aspects of the shoot. Like most of these panel chats, this one does tend toward happy talk. Still, we learn a fair amount about the movie, so it’s a reasonably worthwhile piece. Hollywood as a Character: The Locations of The Artist occupies five minutes, 10 seconds and features Cromwell, Hazanavicius, McDowell, Major, Downtown Properties’ Eric Bender, homeowner Edwin Raquel and Cicada Restaurant’s Richard Pierce Liberman. This one takes us around to the LA spots used in the film. Like its predecessors, “Character” stays puffy, but it manages to offer a nice look at the locations. For the final second, we see four separate featurettes under The Artisans Behind The Artist. These fill a total of 11 minutes, 30 seconds and break into “The Production Design” (2:27), “The Cinematography” (1:23), “The Costumes” (3:45) and “The Composer” (3:55). These deliver info from Cromwell, Hazanavicius, McDowell, Major, production designer Laurence Bennett, set decorator Robert Gould, costume designer Mark Bridges, and composer Ludovic Bource. The featurette titles let us know what subjects get covered here. Once again, praise and happiness dominate these pieces, but they still manage to deliver some useful material. The “Costumes” program works best, especially when Bridges lets us know about the challenges of selecting colors to use in a black and white film. A Blooper Reel goes for two minutes, 14 seconds. These feature the usual goofs and silliness; the only difference comes from the lack of audio. That makes this an unusual blooper collection but not an especially compelling one. The disc opens with ads for Salmon Fishing in the Yeman, Tonight You’re Mine, Bel Ami, In the Land of Blood and Honey, My Week with Marilyn and The Iron Lady. No trailer for The Artist appears here. Mel Brooks made a silent movie 35 years ago, and he did it better than The Artist. While not devoid of charms, the film relies too much on its basic gimmick and doesn’t bother to develop in other ways sufficient to turn it into anything other than a one-note effort. The Blu-ray provides good picture and audio along with a fluffy set of supplements. 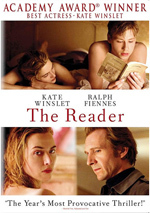 Though The Artist is a competent film, it’s still one without depth or much to make it work beyond it novelty.